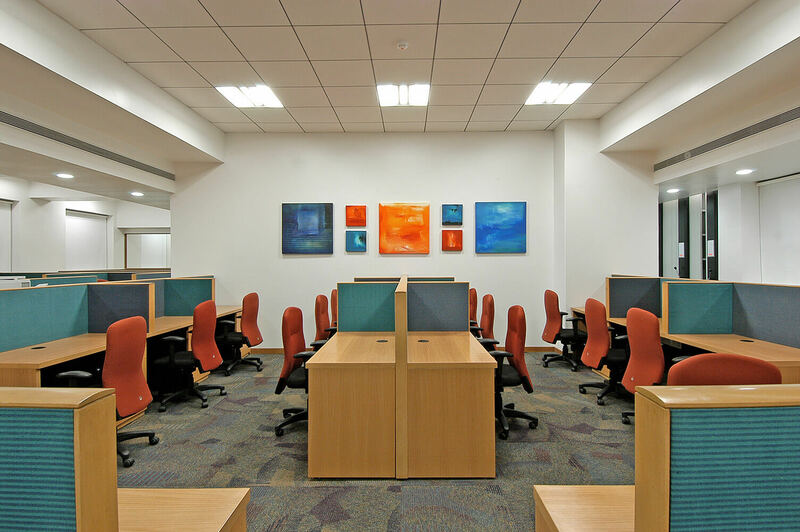 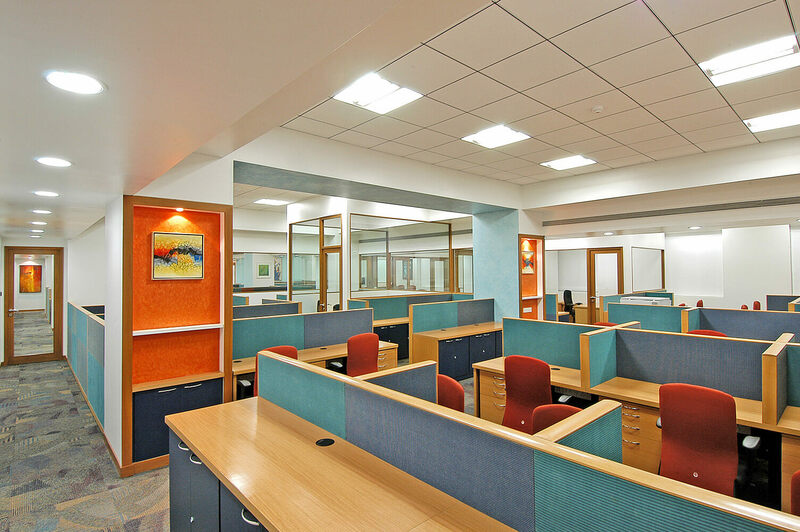 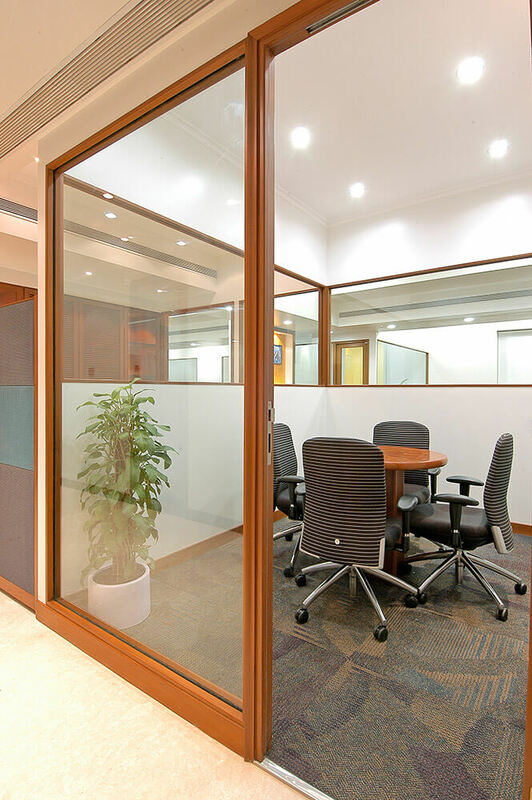 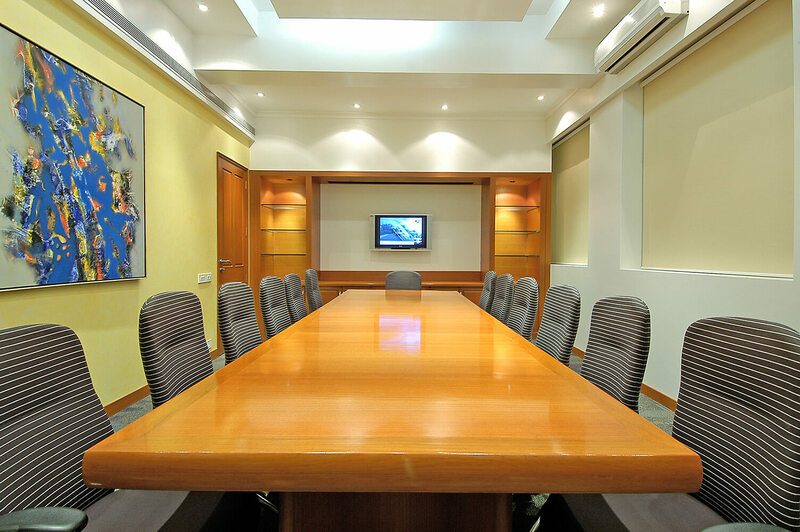 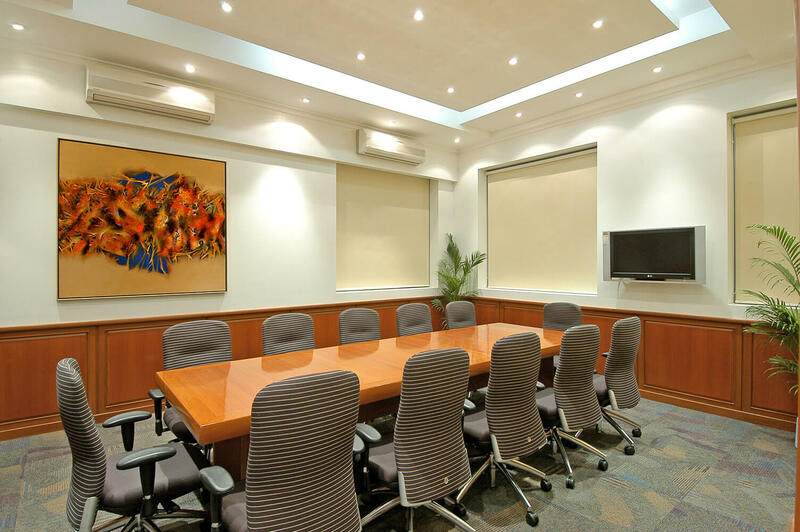 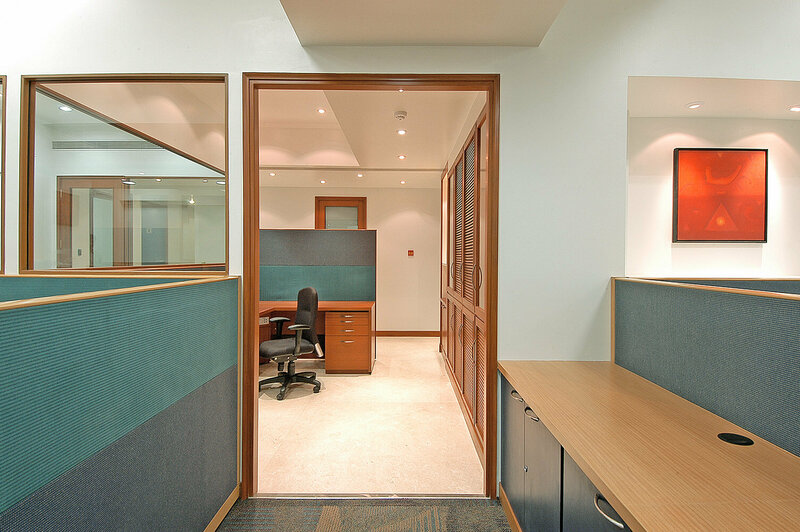 In view of centralizing three distinct disciplines, the consolidated office space had to be well defined to house the Wealth Advisors, the Securities and the Cafeteria zones – all under the ASK banner. 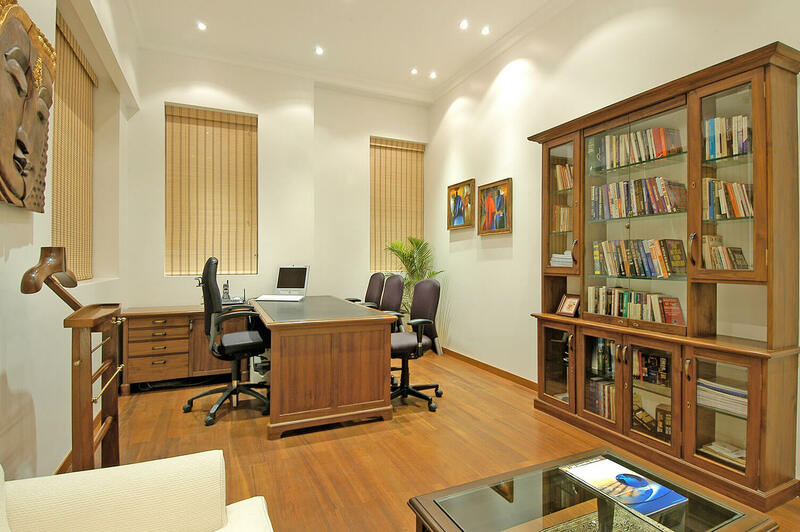 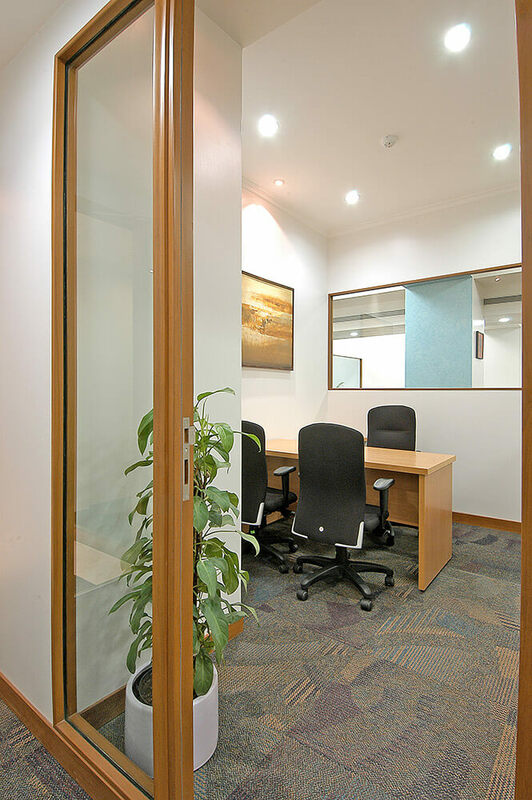 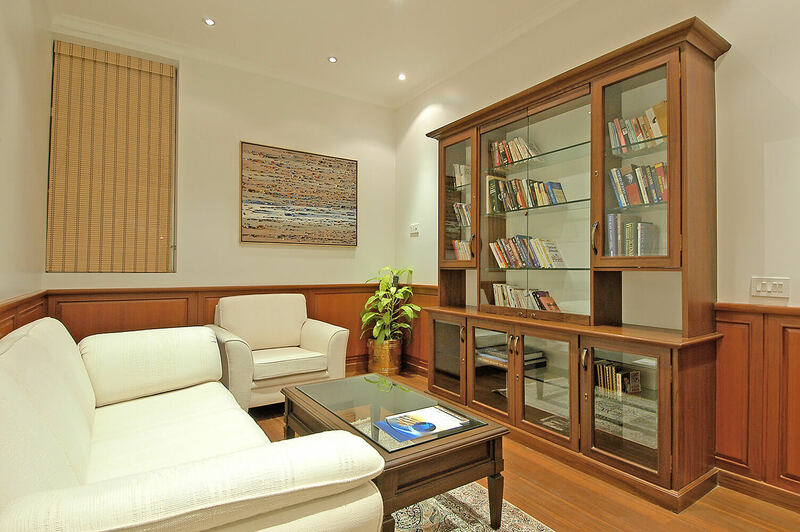 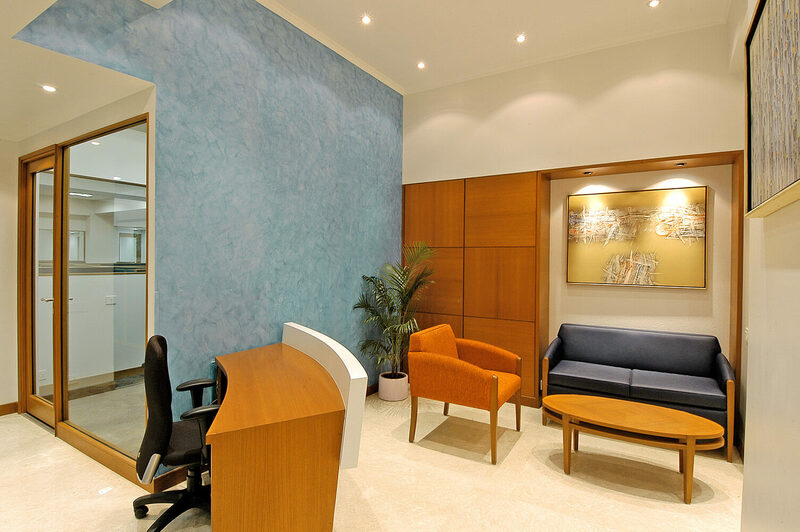 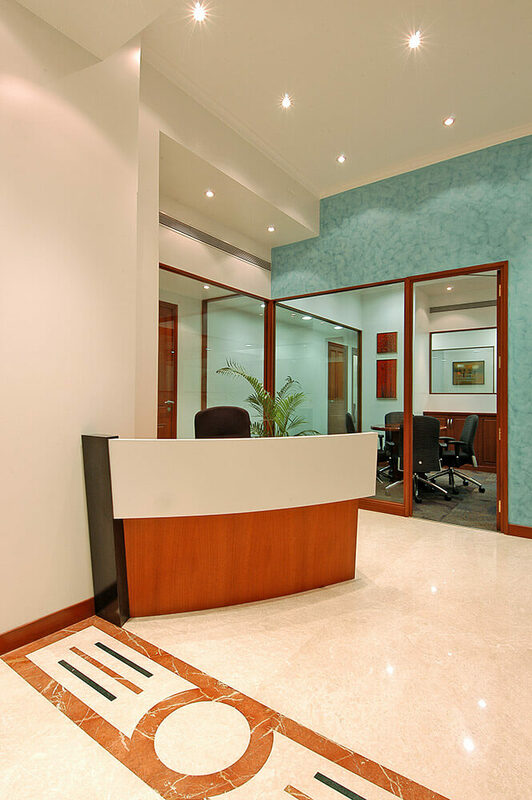 The Wealth Advisors office space is subtle in its design that originates from the reception and is carried forward to the offices by way of furniture, art and decor. 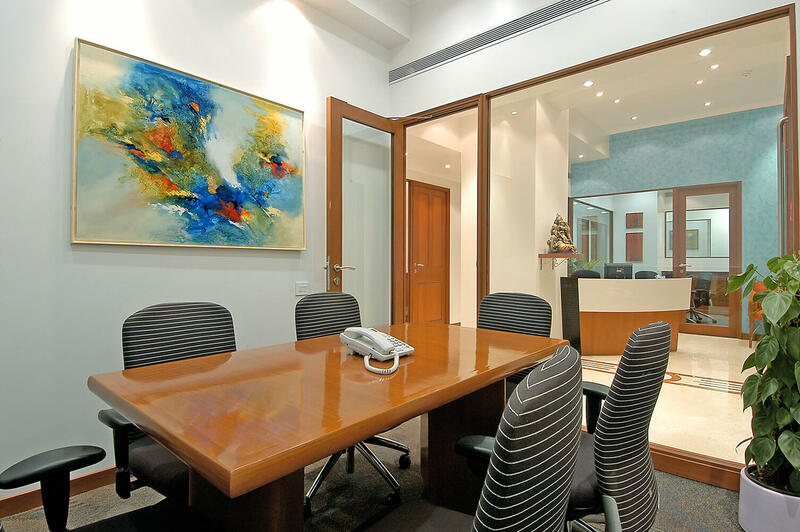 In contrast, the ASK Securities is comparatively flamboyant in its look and working style, owing to their association with the stock market. 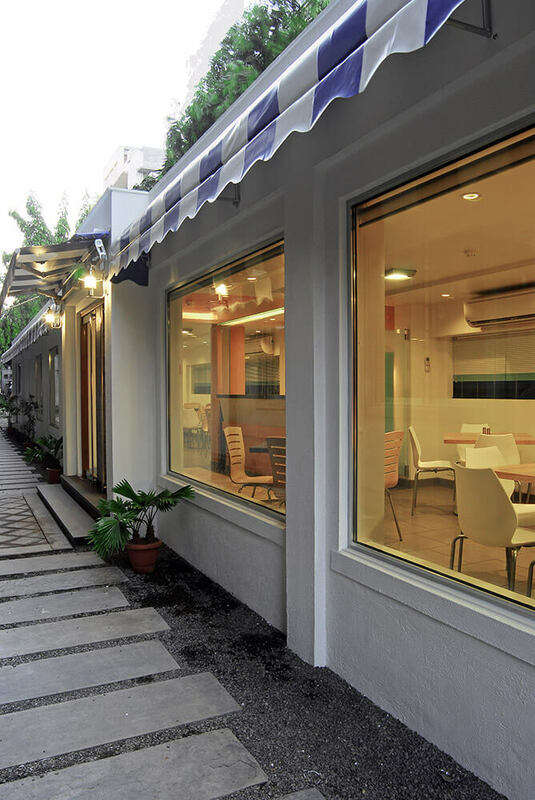 The Cafeteria, passably isolated in a narrow shed-like structure serves as a common ground to bring in the Wealth Advisors and Securities under one roof. 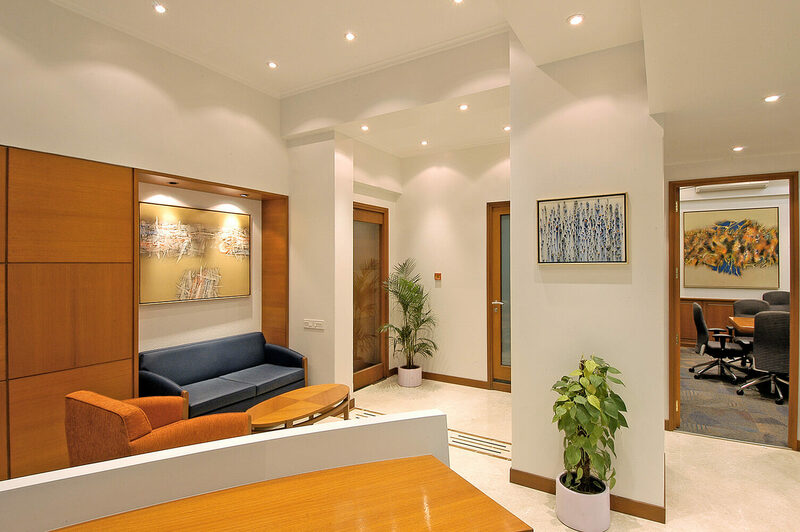 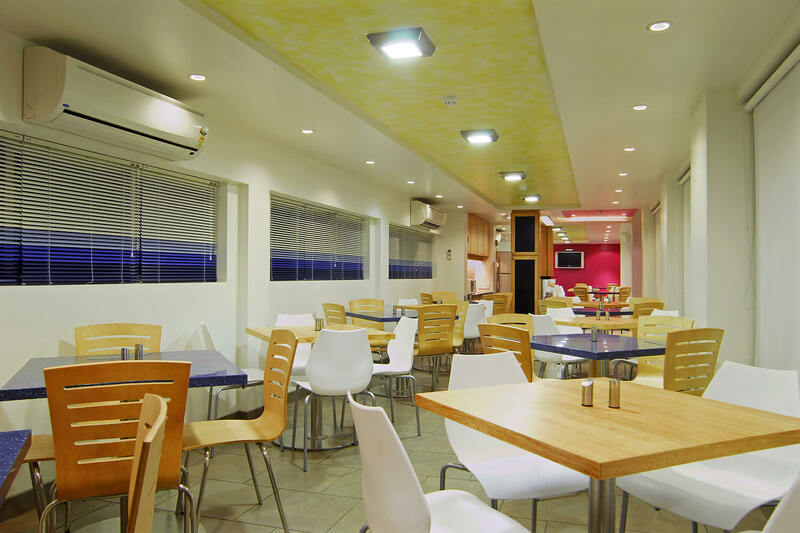 The space is inviting and comfort driven, evident in the vibrant furnishings and décor along with amiable lighting design. 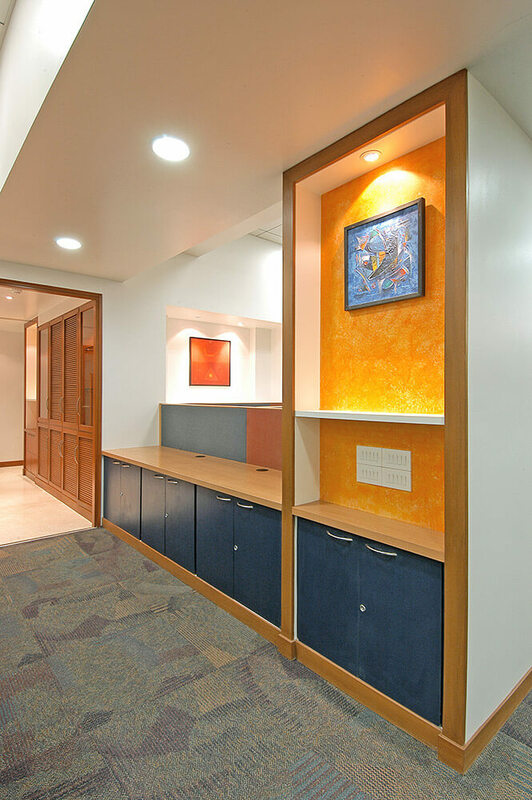 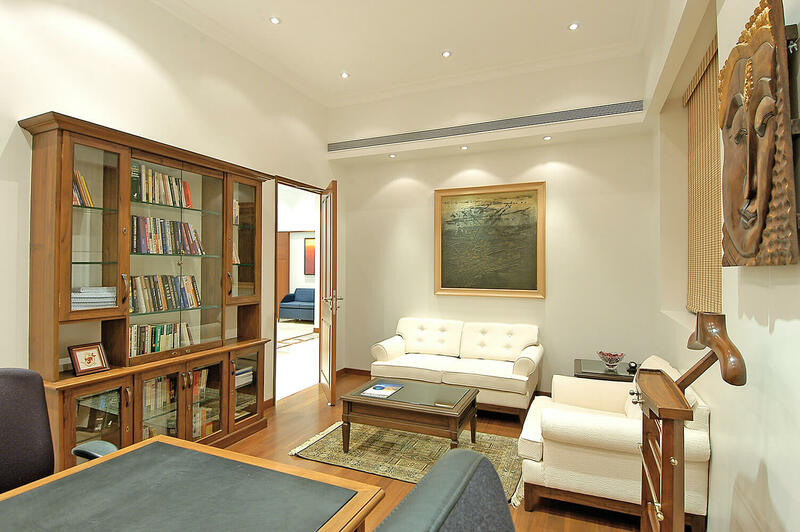 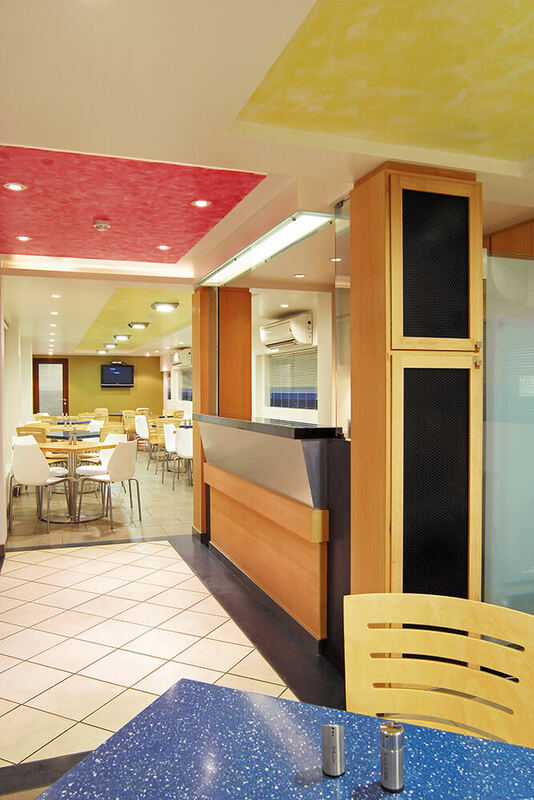 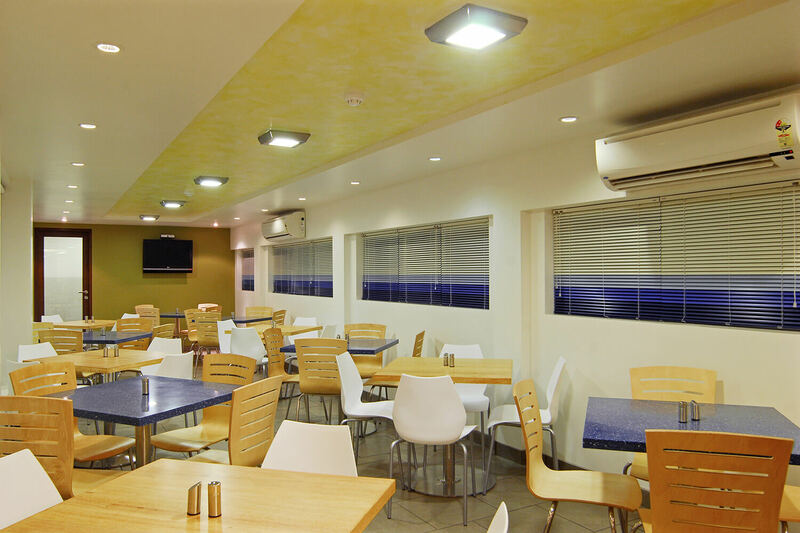 The efficiency in the functioning of all the zones is a shear reflection of the client’s vision. 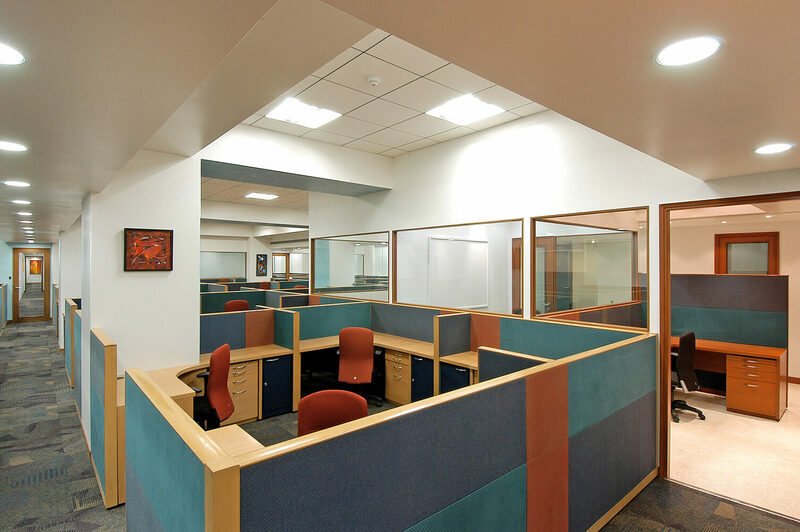 Getting the desired look for each zone and then connecting them through homogenous design elements is ingenious and innovative.